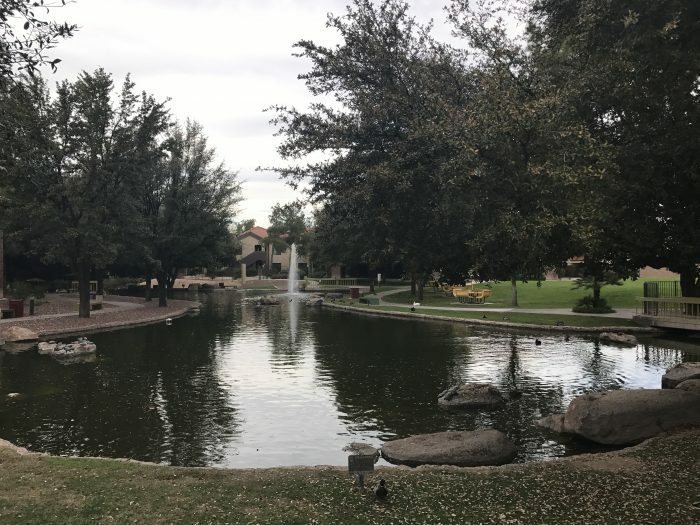 Tempe, Arizona is a college town, the home of Arizona State University. It’s also a suburb of Phoenix. I grew up in Tempe. I lived there from when I was five or six, then went to ASU, then eventually moved away. I still go back and visit every year, usually in March for Spring Training & the Devour Food & Drink Festival, then again in November. As long as you don’t go during the summer, it’s pretty nice. 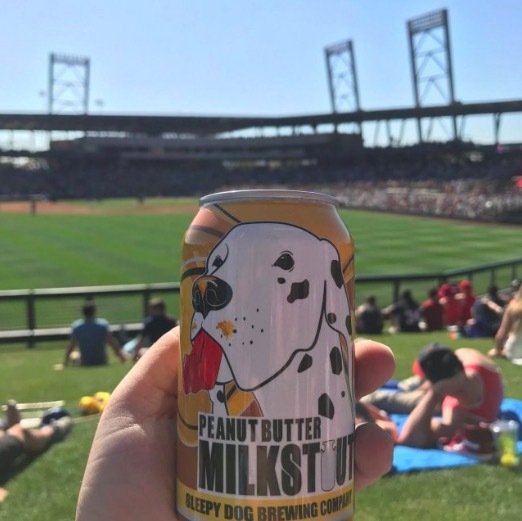 Thanks to being a college town, as well as being a more forward-thinking area of Arizona, there’s been good craft beer in Tempe for quite some time. Recent years have seen even more places spring up. Every time I go back, there’s somewhere new to check out. 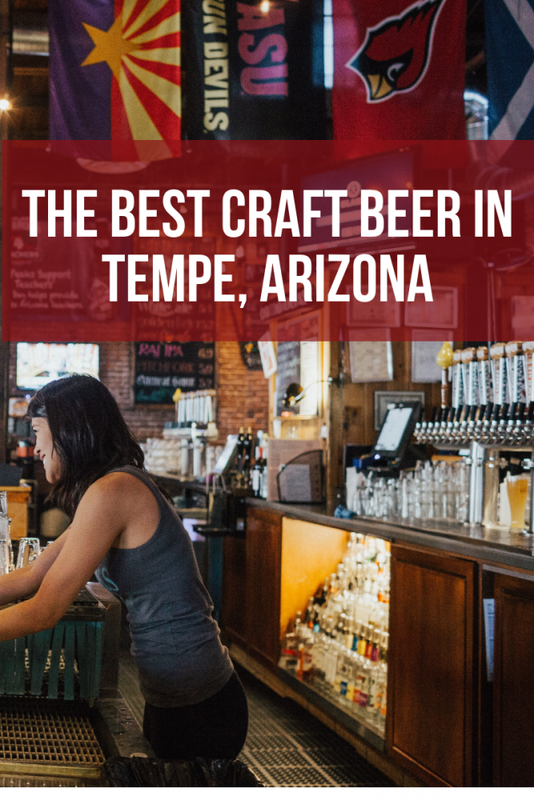 Here are some of my favorite Tempe craft beer bars & breweries. No list of Tempe craft beer could begin without Four Peaks. 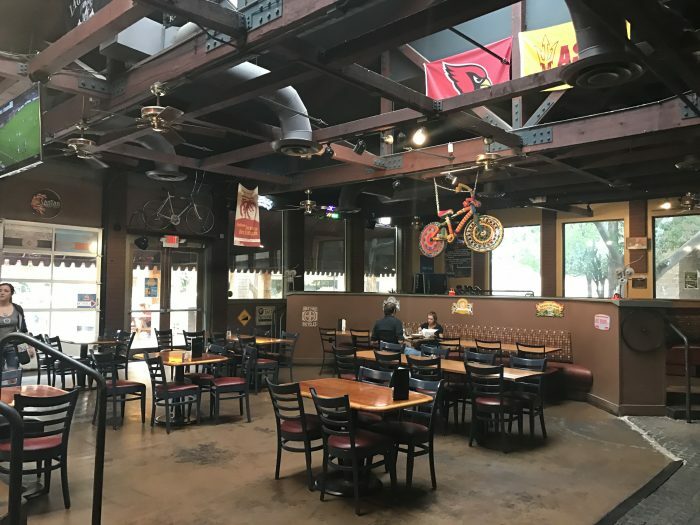 Four Peaks has been in operation in Tempe since 1996. When I was in college at Arizona State, my finance professor would hold informal “office hours” at the brewery, where anybody could stop by and have a beer with him. My first apartment in Tempe was on 8th Street, which is also home to Four Peaks. I could smell the brewery in the mornings. Whenever I smell a brewery now, I’m taken back to those times. Nowadays, Four Peaks is a much bigger operation, as they long ago outgrew that former ice house on 8th. 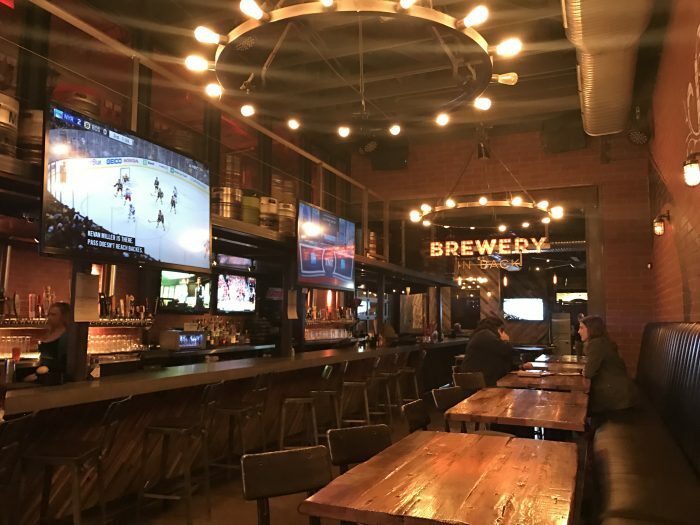 In addition to the original location, the new brewery on Wilson Street also has a tasting room, where you can try beers you can’t find elsewhere. If you’re not able to make it to Tempe, but you’re passing through Phoenix Sky Harbor Airport, there’s a Four Peaks in Terminal 4. In 2015, the brewery was sold to AB InBev. As always, sales like that will cause debate in the craft beer community, so that will be important to some. As for me, Four Peaks will have always been an important part of my life. You can find Four Peaks beer all over the Phoenix area, as well as around the rest of the Southwest. Taste of Tops is my favorite craft beer bar in Tempe. Unlike many of the other bars near ASU, the crowds are much older, so you’re not surrounded by drunken bros. It’s where people who are long past college go to hang out. In addition to having a great tap selection (30 taps, always with several hard-to-find beers), there are also fridges with hundreds of beers. The bar hosts small events as well, featuring everything from TV show watching to dance parties. There’s no food, but you can bring in outside food from any of the nearby takeout places. I recommend Thai Basil, which is in the same strip mall. 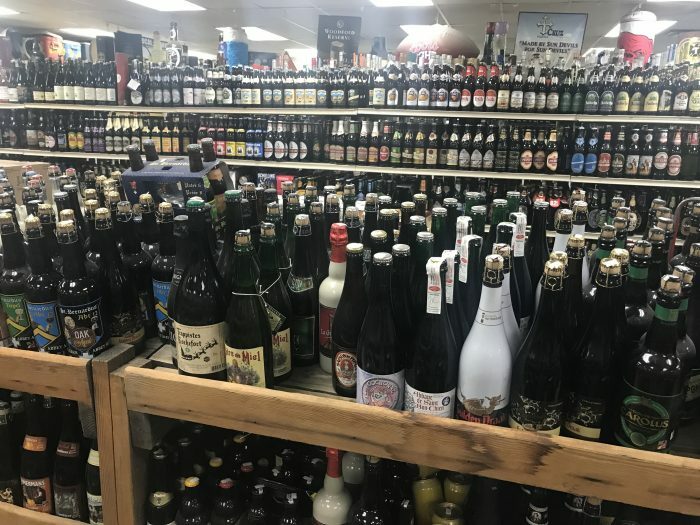 That’s another thing about drinking in Tempe or anywhere else in the Phoenix area – you’ll find yourself drinking in far more strip malls than you ever would have expected. Just embrace it. Where does the “Tops” in “Taste of Tops” come from? That would be the attached store, which has every beer, wine, or liquor that you could ever want. Taste of Tops is actually a bar expansion of the original liquor store, which has been the go-to place for alcohol in Tempe for as long as I can remember. If you believe in shopping at local businesses, this is where to go. 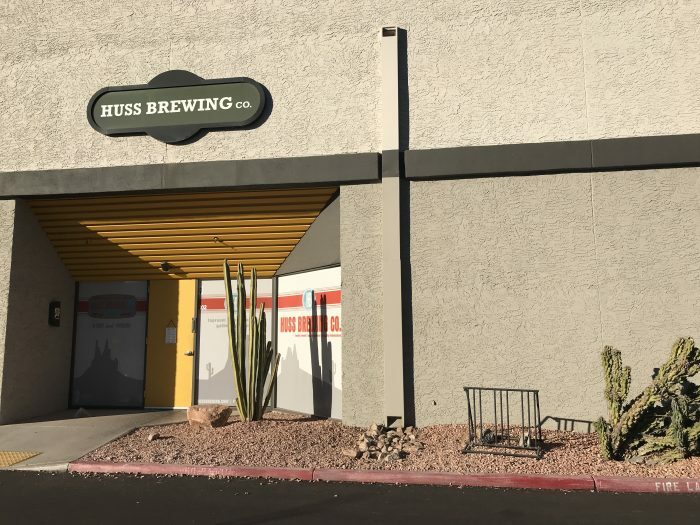 Huss Brewing, which has been run by husband-and-wife team Jeff and Leah Huss since 2013, is located in an industrial park in south Tempe near Priest & Elliot. When I visited, people were lining up for growler fills & pints before the doors even opened. The brewery has an intimate tasting room with 24 taps. 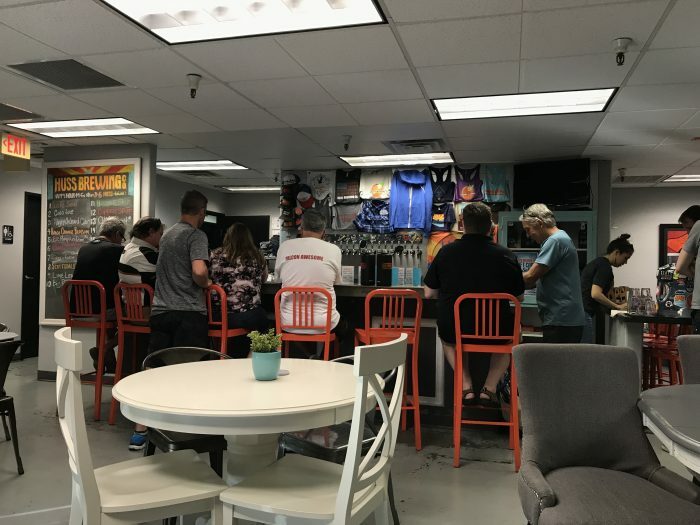 You can find their beer in other places around Tempe & the Valley (the Koffee Kolsch is quite lovely), but the tasting room has creations you won’t find elsewhere, along with a few guest beers. Huss also has a larger taproom & restaurant in Phoenix. Spokes on Southern & Boulders on Broadway are two separate bars, but they have the same owners. 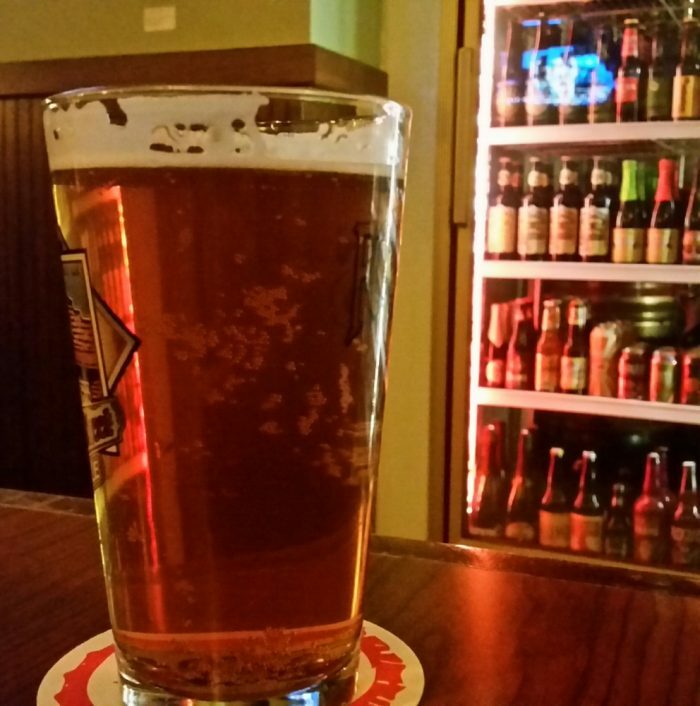 Both have great selections of craft beer (24 or 30 taps, plus cans & bottles), along with decent food. They’re spacious bars with plenty of televisions. Spokes on Southern also has a large outdoor patio next to a pond. Sometimes you can watch unsupervised children fall into the pond or get chased by geese. You don’t even need the televisions for entertainment! The two bars also host trivia nights. If you’re around in Tempe when I visit, you can have the honor of being annihilated by my trivia team at Spokes on Southern. 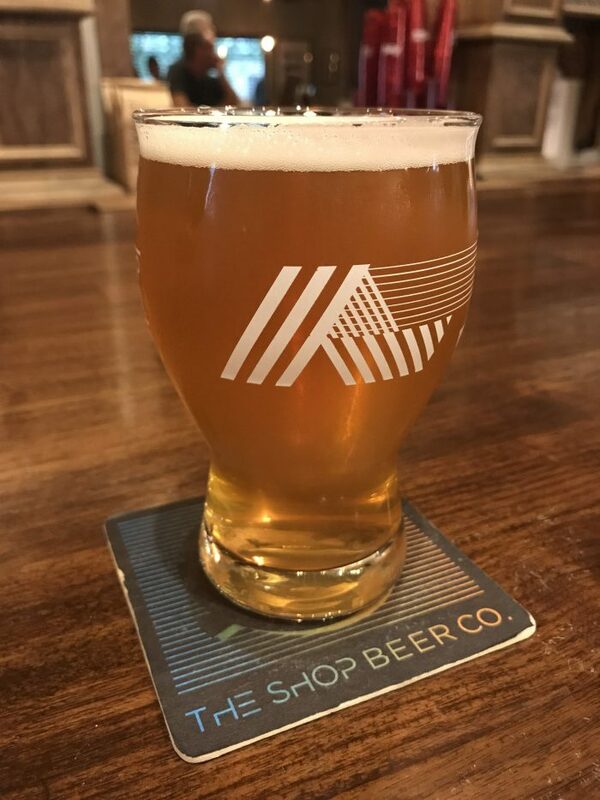 The Shop Beer Company is one of the newer breweries in Tempe, but it has quickly become a local favorite, winning “Best New Brewery” from The New Times in 2017. The brewery started out within nearby Cartel Coffee Lab, which is a must-visit if you’re a coffee fan. The Shop creates beers in every style – from popular NEIPAs to beers using local farm ingredients. Each week, you can find a unique infused concoction on “Randall Wednesdays”. If you like originality when it comes to beer, The Shop is the place to go. 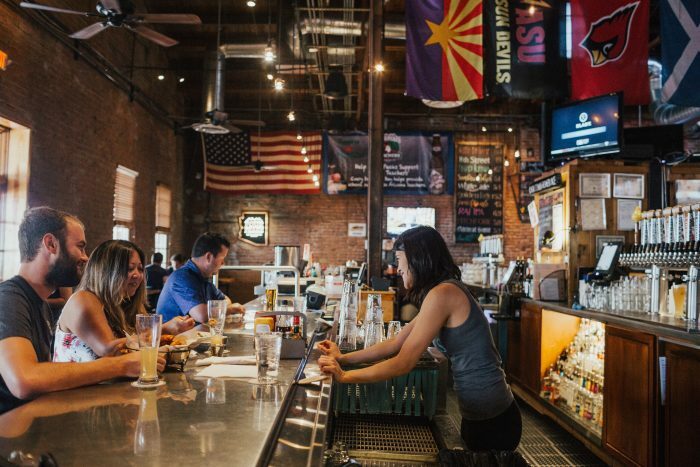 Blasted Barley is one of a couple of craft beer bars located on or near Tempe’s famed Mill Avenue. For better or worse, this is the heart of the college town. 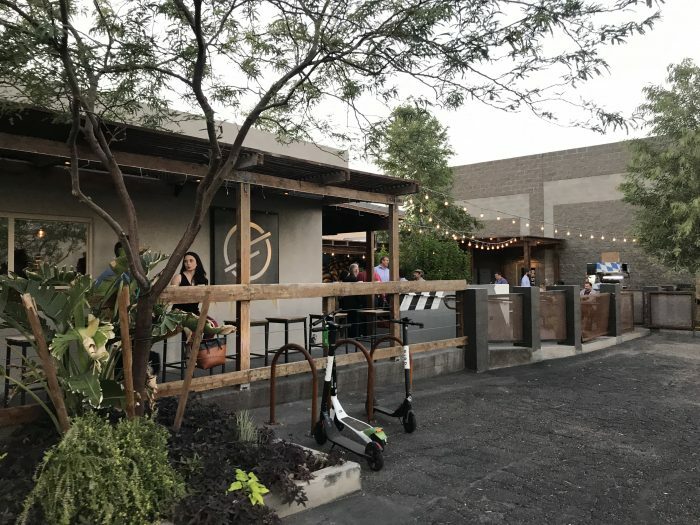 New shopping centers further away from ASU have decimated Mill’s businesses over the years, but this has opened opportunities for an ever-evolving wave of other bars & restaurants to step in. Blasted Barley has 30 taps, including some of their own beer. The food is also pretty good. The Blasted Popcorn is always a hit. 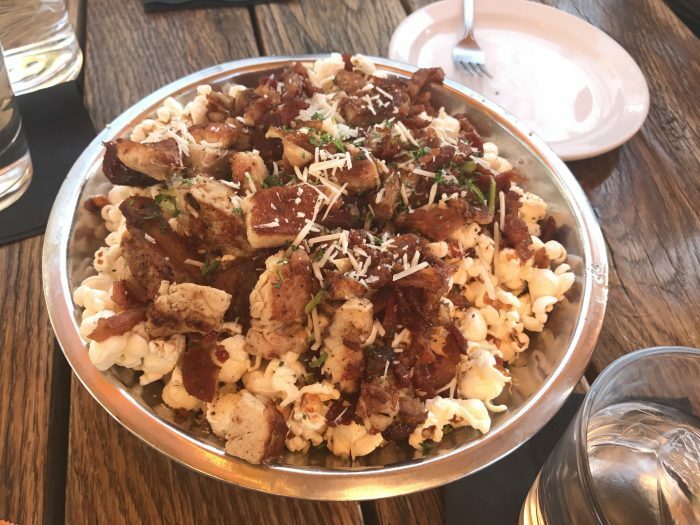 Adding braised & seared pork belly, chopped crispy bacon, & shredded parmesan cheese to popcorn will do that. Pedal Haus is also located along Mill Avenue. This bike-themed brewpub mostly focuses on European-style beers, but there are guest taps as well. 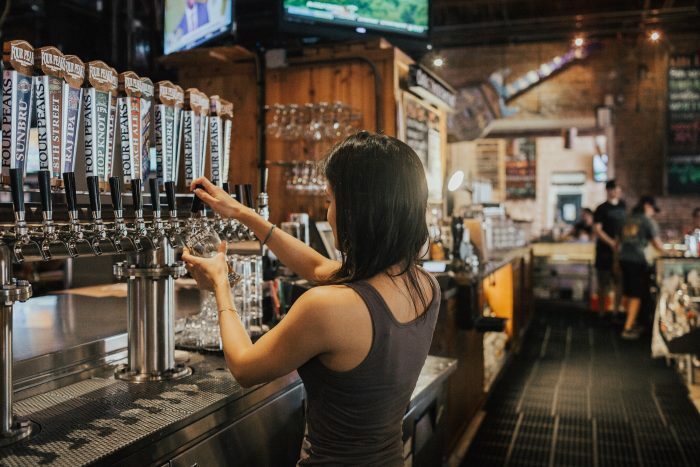 Sleepy Dog Brewing has been in operation since 2009. As you might expect from the name of the brewery, the beer names are also dog-themed. Their Wet Snout Peanut Butter Stout is quite nice. Their recently-remodeled taproom on University Drive is dog-friendly (of course). Notably, tipping is not accepted. Bottleshop 48 is a bottle shop that also has a 12 tap selection of beer. The name of the bar comes from Arizona’s position as the 48th state to join the United States. 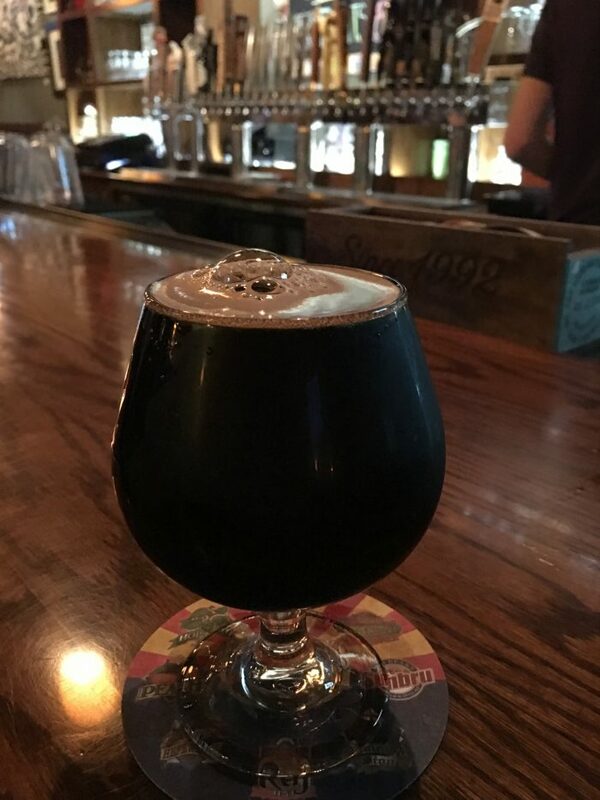 Have you had other good beer in Tempe? Let me know in the comments!